Last week we posted on '1974' , the new album Maggie Brown singer and guitarist Marcel Hulst released under the name Mountaineer. A beauty of an album, soft-spoken, intense with diverse layers to be discovered when the listener really takes his time to do so. (Click here for the review: http://wonomagazine.blogspot.nl/2015/03/1974-mountaineer.html) Somewhere in the past weeks WoNo Magazine received an invite to come to the cd presentation, so off we went to Amsterdam, to something called De Nieuwe Anita. The songs on '1974' are all so soft and quiet that I wondered how they would hold on a stage. To my surprise when I looked down over the railing into the cellar where "the stage" of De Nieuwe Anita is situated, I saw drums/percussion for three people, keyboards for three, two guitars and a pedal steel guitar. Marcel Hulst was accompanied by five musicians of which the drumming lady did backing vocals as well. Together they recreated an only slightly louder version of the album. De Nieuwe Anita looks like an old store that has turned into a bar, including a cocktail bar, annex cultural centre in which art is shown and theatre and music is played. In this instance in a cellar not even half the size of the whole venue. It lies in a south-western circa 1900 extension of Amsterdam's city centre. The cellar floor is the disco and stage. About half of the floor was filled with instruments and a dj booth on the side, the other half was for the audience that is at the same level as the musicians. As all except Marcel Hulst were sitting, some never came into view for me. The album cover was projected on a large curtain at the back of the "stage". Together they played the songs on '1974' in a near perfect manner. At the beginning only Marcel Hulst was playing his guitar, setting an atmosphere that was very much like the opening song on 'Maggie Brown'. Slow played, long held, lush chords that created a little musical magic straight away. The band joined and together they played 'In Canada'. A few in the audience knew enough and left straight away, making room for many others that stood crowded in the small cellar (for so many people). A load of girls sat on the stairs on the side of the stage. Probably more people were watching from the railing upstairs. Either you like this soft spoken music or you don't I guess. All the subtleties in the songs came forward in a much more direct manner than on record. Listening to the songs for the second time, I was surprised to hear other instruments. They never made an impression on me the first time around. It really seemed just a singer and his guitar. On stage they were more prominent. All the keyboards made different sounds, creating distinctive atmospheres, making songs unique. The drums and percussion adding different layers as well. The show ended with the band cooking up a storm. Louder and louder the few chords were played. Immediately after that Marcel Hulst played a song that I thought to be a Maggie Brown one, but turned out to be an Mountaineer outtake, solo, closing the show in his soft-spoken style. Again I have to stress that presence and presentation is a part of what a musician is on stage. It is not all about the music only. That is something Marcel Hulst has to become aware of and work on. He has the songs, he has the voice and the band or in this case the musicians. That is all there. Now it is about capturing his audience. His challenge for 2015 is cut out. The album is there as LP, cd or download. I bought the album and having read Erwin Zijleman's blog yesterday my expectations are set even higher. Two albums into Marcel Hulst's career I dare to say that we have a major songwriting talent in the country. Time for you to find out? Yes, it's that time dear reader! So please proceed below. 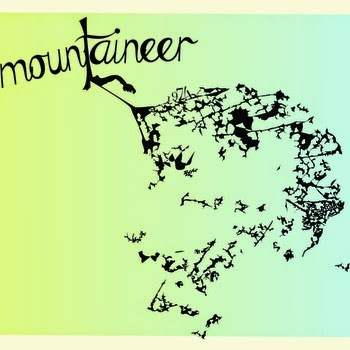 You can listen to and buy '1974' on Mountaineer's bandcamp page.